Tata has revealed the specs and feature list of its upcoming and hotly anticipated Harrier SUV. It is powered by Tata’s new Kryotec 2.0-litre turbo-diesel engine. It makes 140PS of max power and 350Nm of peak torque. The engine is mated to a 6-speed manual gearbox which, surprisingly, drives the front wheels. This is due to the transverse configuration of the engine. The Harrier boasts of a monocoque construction and is underpinned by the same D8 platform that also underpins the current Land Rover Discovery Sport. As for the suspension, it comes with an independent lower wishbone setup up front along with a semi-independent suspension setup at the rear. It also gets a terrain management system for mild off-roading, but the system is ESP based and comes with three modes: Normal, Wet and Rough. In terms of features you get an 8.8-inch touchscreen infotainment system with Android Auto. Apple CarPlay will be added shortly. It also gets a 9-speaker JBL audio system. Driver seat is 8-way adjustable while the passenger perch is 4-way adjustable. It gets climat e There is however no sunroof on offer. As for size, at 4598mm in length it is significantly longer than its chief rivals it is also the widest at 1890mm and also boasts of the longest wheelbase of 2741mm. Plus, it sports a ground clearance of 205mm again among the highest in its segment. In terms of safety it comes with 6-airbags, along with ABS with EBD, corner stability control, traction control, hill hold assist, hill descent control, roll over mitigation and off-road ABS. In addition, it offers dual front airbags, rear parking sensors and ABS with EBD as standard but the ISOFIX child seat mounts are surprisingly reserved for the top-spec XZ variant only. 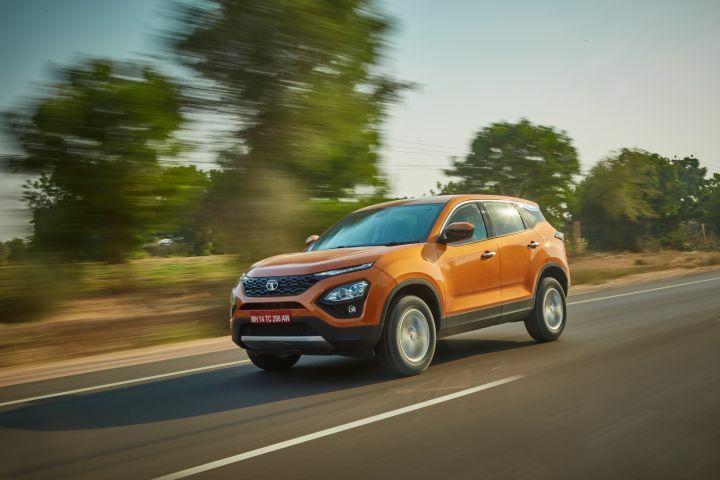 All in all, the new Tata Harrier is a pretty well kitted out SUV and by the looks of it, seems ready to take on rivals like the Hyundai Creta and the Jeep Compass. Prices are expected to start from Rs 15.0 lakh, ex-showroom India. We will be driving the Harrier shortly. Stay tuned for the review on Zigwheels.com on December 7. Share your experiences with Harrier?